Are High Heels High Risk? High heels are a fashion staple that wearers often have a love/hate relationship with. Chances are you’ve worn them, know someone who wears them, or have at least seen someone walking (successfully or otherwise) down the street in them. Although high heels may be fashionable, wearing them for prolonged periods of time can lead to injury. While the common issues associated with high heel use relate to foot pain, high heels can also increase the risk of injury due to slips and falls. There is ample research demonstrating that footwear sole properties, such as tread pattern, tread material, and wear, impact the risk of slipping and falling. However, high heels have additional notable properties that differentiate them from ‘typical’ footwear like running shoes. As the name would suggest, high heels have a higher heel than typical footwear and are also generally smaller in area and have less surface in contact with the walking surface. Research has demonstrated that there is an increased risk of slipping while walking in high heels . A recent study examining high heels with heels of varying contact areas (Figure 1) showed that there was an increased risk of slipping while walking in footwear with smaller (narrower) heels . 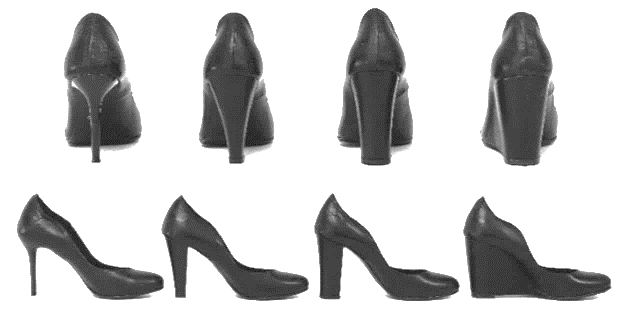 Figure 1: Various high heel areas tested. High heels have been associated with an increased fall risk for older adults . High heels put wearers at greater risk of falling due to their impact on stability and balance. Studies with younger and older women that compared high heels to flat shoes or barefoot conditions have shown that the high heels were associated with worse outcomes in standing balance tests and greater instability during walking [4,5,6]. Overall, high heels put wearers at a greater risk of slipping and falling than flat-soled footwear such as running shoes. However, considering some of the additional footwear factors impacting falls, precautions such as ensuring that the high heels fit properly, opting for shoes with a larger heel contact area, and choosing footwear with a tread pattern when possible, may help mitigate some of the increased risks of high heels. Blanchette, M.G., Brault, J.R., & Powers, C.M. (2011). The influence of heel height on utilized coefficient of friction during walking. Gait & Posture, 34, 107-110. Park, S., & Park, J. (2018). Effect of heel area on utilized coefficient of friction during high-heeled walking. In: Congress of the International Ergonomics Association, 703-709. Springer. Tencer, A.F., Koepsell, T.D., Wolf, M.E., Frankenfeld, C.L., Buchner, D.M., Kukull, W.A., Lacroix, A.Z., Larson, E.B., & Tautvydas, M. (2004). Biomechanical properties of shoes and risk of falls in older adults. Lord, S.R., & Bashford, G.M. (1996). Shoe characteristics and balance in older women. Journal of the American Geriatrics Society, 44(4), 429-433. Hapsari, V.D., & Xiong, S. (2016). Effects of high heeled shoes wearing experience and heel height on human standing balance and functional mobility. Ergonomics, 59(2), 249-264. Chien, H.L., Lu, T.W., & Liu, M.W. (2013). Control of the motion of the body’s center of mass in relation to the center of pressure during high-heeled gait. Gait & Posture, 38(3), 391-396.